Once upon a time, the first treadmill desk was created by marrying an adjustable-height desk to a cannibalized running treadmill base. That was more than ten years ago, yet every treadmill desk in the world since has been made using the same recipe. Every walking base sold as a “treadmill desk” has its roots in gym equipment, as evidenced by footprint, noise signature, console design and motor gearing ratios. iMovR's ThermoTread GT is the first treadmill desk base designed from the ground up to live in an office environment, not a gym. 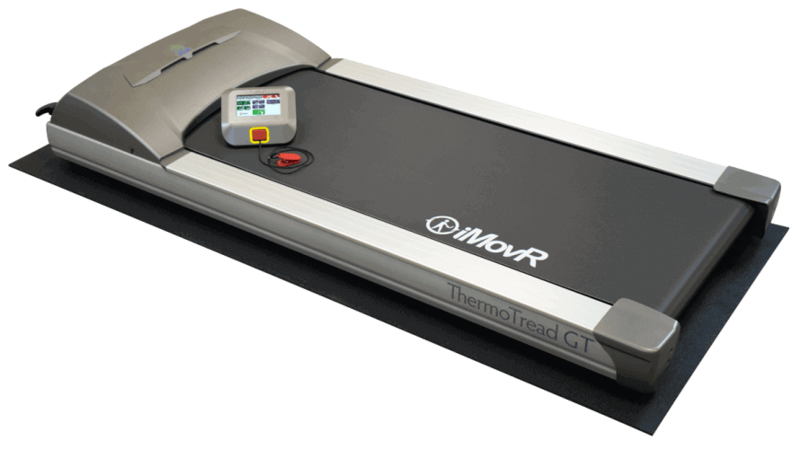 From upgraded componentry and quieter motors to a sleek, touch-screen LCD console, the ThermoTread GT represents the new standard in office fitness equipment.